The best definition of humor I have heard goes like this, “Humor is a gentle way to acknowledge human frailty.” Almost all humor “makes fun” of some weaknesses or foible. This can be done in a spirit of cruelty, “anything to get a laugh” or in a spirit of healing that helps us take action to become better people. This post is not for humorless people. But if you believe that laughter is good medicine, read on. My definition of humorless people is as follows, “Humorless people are those who refuse to acknowledge any personal frailty.” People with delusions of perfection cannot laugh. They won’t allow themselves to laugh. Being humorless is a sad malady. I wanted to explain that these frogs had been trained to walk and that they walked into a bar because they couldn’t find any beer in the church. But she spun on her heels and disappeared before I could answer. In another show I talked about a frustrated parent reaching back to discipline children fighting in the back seat of a car, only to discover that children innately know of the one spot in a car a parent’s arm cannot reach. I received a scathing letter suggesting that the telling of that story promoted child abuse… Please bear with me, I am counting to ten before I continue. Which of those people would you like to share your life with? Laugh at yourself and people will laugh with you. People will see themselves in your stories. Use the right edge of the sword. Humor is a two edged sword. It can be used to enlighten and encourage or hurt and destroy. Know which edge you are using. Let the sound of your laughter be a source your family and friends can identify you with and remember you by. We live in an increasingly easily offended and humorless society. Don’t be swallowed up in the negativity. Smile and the whole world smiles with you… except for the lady who doesn’t believe in walking frogs. Frown and it will really make you look unattractive. my main goal in life is to make people laugh- no matter how big the challenge, I’ve always managed to do so (so far!) even my grandfather, who NEVER laughed! How did I make him laugh? I subtly poked fun…at HIM! Even my aunts and uncles were impressed! I got him to laugh again a few years later after dressing in a homemade dragon suit and ‘bit’ his head, but that’s another story…. Helen Keller once said, “Life is either a great adventure, or it is nothing at all. ” I’ve found that adventure without a sense of humor is simply drudgery. Just decided to tweet this. Thank you Hans for the great quote. Nothing lightens my heart more than laughter. The kind of laughter where your drink comes out of your nose and the next day your belly feels like you’ve done about a thousand sit-ups and your face feels like the Joker on laughing gas. I’m afraid without that laughter I would die…literally die. Thank God I have family and friends (like you) who keep me alive with laughter. Laughter is one of the few gifts I can give. It makes me very happy to know you enjoy it. When my mother was walking the path through alzhiemer I found that humor helped us get through some touchy situations. Laughing got us through a lot of her forgetfulness. Some people have such a hard time understanding the power of laughter in these situations. Thank you for sharing. Your sense of humor is wonderful! 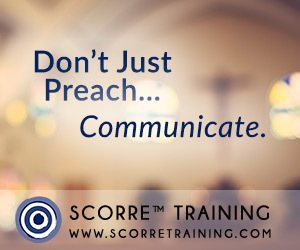 God uses it to reach people who won’t sit and listen to the word of God otherwise. So laugh on, Ken, laugh on! As you know I always say if God didn’t have a sense of humor he would have given this early onset dementia to someone else. I find humor in the fact that he has made it so that I have no idea what so ever what my beverage of choice will taste like or what today’s mystery meat will be. I can tell you that yesterday’s vanilla coke zero tasted like black cherry soda and that my morning fiber supplement is still tasting like liquid spaghettiOs. Also if God didn’t have a sense of humor why would he make my doctors name so hard to remember. GimpyRoger, I wish I knew you, you sound like my kind of fun! Frith, Trust me, Roger is some kind of fun. I love your attitude and stories. 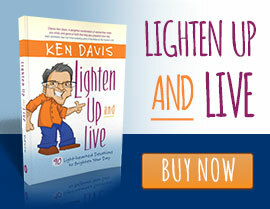 I’ve seen your shows, heard you at Willow Creek and read your book Lighten Up several times. You’ve made me laugh so hard, tears have run down my face. Thanks for sharing your gifts with us! God bless Zoe. I “get her!” The world needs more of her. I grew up in a very abusive home ,gave my heart to Jesus at 8 years old ,it will be 50 years ago this march 8th 2014 . I would not have survived or made it through my life without JESUS and folks like you.I know THE JOY OF THE LORD IS MY STRENGTH .Thank you for being such a blessing to me . you have help turn my scars into stars. Your statement, “you have turned my scars into stars” blessed me. I am going to share it. I grew up on a dairy farm and my dad had a great sense of humor-he’d invite people over to Sunday dinner because “someone ran over one of our chickens in the road yesterday!” Then he would tell how he spilled some gas while fueling up the tractor and our dog licked some of it up. As dad told it, the dog just took off running around the house like crazy 3 times and then he just stopped and fell over. Of course most everybody would ask “dead?” “Nope, he ran out of gas!” I am glad I inherited his sense of humor and that people like you, Ken, keep us laughing with clean laughter. I would have loved talking to your dad! Thank you for sharing your story. Happiness is a choice. Joy is a command. Choose to live with joy and happiness. I have known those without humor. I don’t know how they stand going through life that way. I choose to surround myself with those that bring joy. Our 3 1/2 year old granddaughter always keeps us on our toes…One day we told her “That was so nice, honey. God sure made you sweet.” She replied, “No…God made me funny! !” He sure did!! Laughing is healthy. I love the comment about a touch on the brakes. That guy lives in the real world. 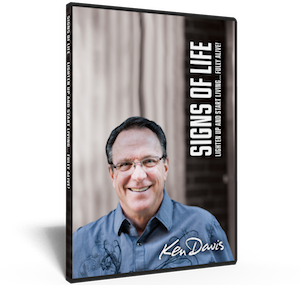 God gave us laughter and blessed us with Ken Davis. You make me laugh till it hurts! We love you Ken. I am of the belief that God created those who can make others laugh as an important tool of the kingdom. I used to think I used the comedy as a way to deal through my difficult times and then I realized by sharing the difficult times with friends using the humor of a situation left me feeling blessed and left them feeling blessed. I do a bit about my father’s funeral (all true) where a family member so excited to see someone at the wake, jumped up and knocked me into two large funeral arrangements, “Beloved Brother” and “Dear Uncle.” I attempted to move out of the arrangements but my father’s casket started to wobble. Finally a family member came up (after laughing for several minutes) and calmly plucked me out of the arrangement. I had a few stray pieces of baby’s breath in my hair and my mother looked at me in confusion and said, “Why did you put flowers in your hair? It doesn’t really look good.” When I tell that story, I always have someone come to me a few weeks later saying just thinking of that helped them through a funeral or wake. I’m gonna be the crazy lady who speeds down the nursing home hall on my Hoveround ..
My son must think I’m a walking frog. He told my grandson that when the old frog croaks, they’re going to Disney World. Thank you for making me laugh this morning….I can just picture how upset that lady must have been and it makes me LOL!!! love this one million percent…. 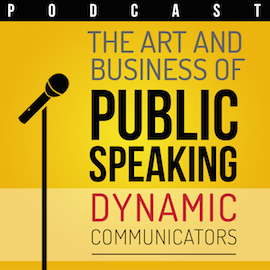 probably because this pretty much sums up my calling as a speaker/writer…. I was on our way to drop my daughter to her dance class and Focus on the Family was on the Radio with Ken. Oh my Oh my, we laugh so hard listening to him. Life gets better and brighter when you smile and laugh… and sharing it with someone you love dearly.